St. Simons Island: A Georgia destination wedding venue with history and soul. Above please note your King and Prince wedding venue (lower right) 70 years or so ago when it served our country as a Naval Reserve Radar Training Station during World War Two. On the grounds where you take your vows, brave men worked to keep our Eastern seaboard safe. Your very room could have served as one of the BOQ (Bachelor Office Quarters). Intrigued? Schedule an event for the history buffs in your wedding entourage to visit the historic Coast Guard Station where you’ll see a film depicting the bombing of two US merchant ships by German submarines in WWII. Click here to read an archived issue of Naval Aviation News detailing the operations at the King and Prince. 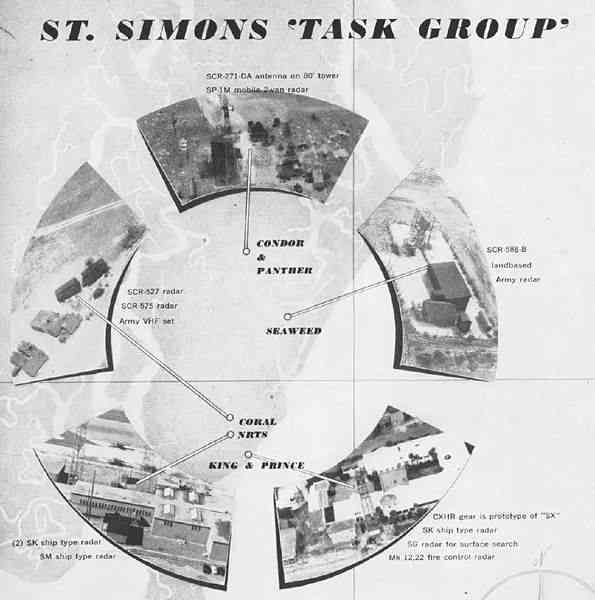 Click here to learn more about St. Simons and the Coast Guard Station during WWII. This entry was posted on Monday, November 5th, 2012 at 3:39 pm	and is filed under Weddings. You can follow any responses to this entry through the RSS 2.0 feed. Responses are currently closed, but you can trackback from your own site.